Millions of Office 365 business users likely effected. Starting June 22 at 6:44 a.m. UTC, Avanan's Cloud Security Platform started to detect a massive attack against its customers using Office 365. The attack included a very nasty ransomware virus called Cerber, which spread through email and encrypted users’ files. Once encrypted, Cerber demanded a ransom be paid in order to regain access to the users' documents, photos, and files. The virus played an audio file informing the user that the computer’s files have been encrypted, while a warning message was displayed on screen. 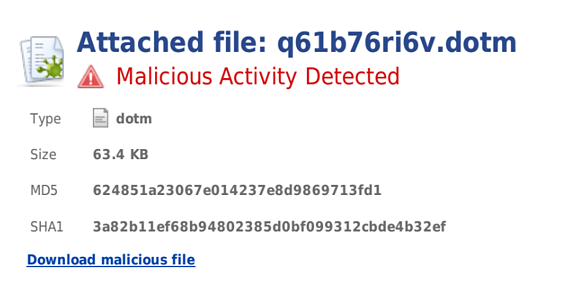 Based on Avanan's analysis, Microsoft detected the attack and started blocking the attachment as of June 23, at 11:34 a.m. UTC. Avanan estimates that roughly 57 percent of organizations using Office 365 received at least one copy of the malware into one of their corporate mailboxes during the time of the attack. This attack seems to be a variation of a virus originally detected on network mail servers back in early March of this year. As it respawned into a second life, Cerber was widely distributed after its originator was apparently able to easily confirm that the virus was able to bypass the Office 365 built-in security tools through a private Office 365 mail account. Avanan's Cloud Security Platform immediately discovered the rebirth of this virus through customers using Check Point’s SandBlast solution through Avanan’s platform. Out of all Office 365 email users on the Avanan platform, 57 percent of organizations experienced the attack. The customers who activated Check Point's SandBlast Zero-Day Protection on the Avanan Cloud Security Platform were able to block the attack before any infection occurred, identifying the attack as a sophisticated zero-day ransomware. Traditional antivirus/anti-malware tools were not able to detect this attack on cloud email program users at the time it occurred. Avanan's security experts started to spot and correlate this same attack across multiple companies to conclude the extent and focus of this attack. Cerber Ransomware – Similar to other ransomware, Cerber spreads via phishing emails. Once infected, a victim's files become encrypted using the AES-265 and RSA encryption method, which is currently unbreakable, and they receive a message saying they need to pay a ransom of 1.24 bitcoins or ~500 USD to get their files back. If Cerber had been allowed to reach these users, it would have executed and the business costs would have been significant. 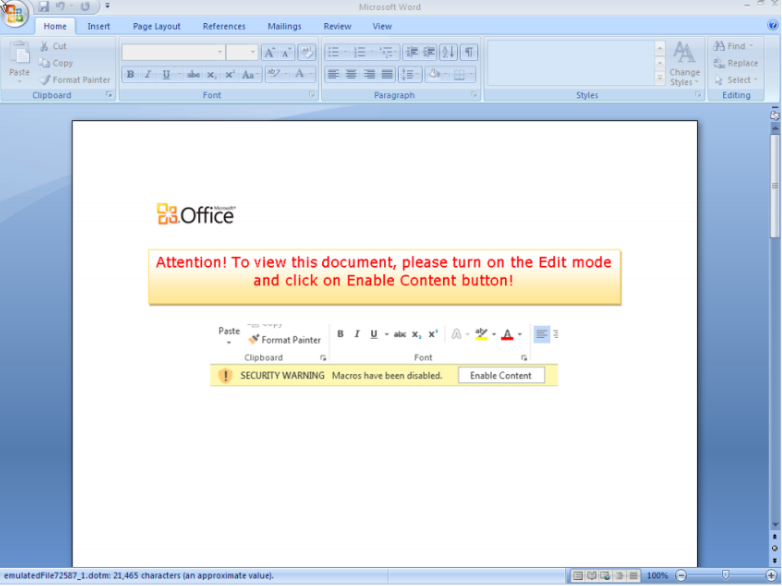 Blocking this malware proactively with SandBlast protected Avanan customers from this threat.